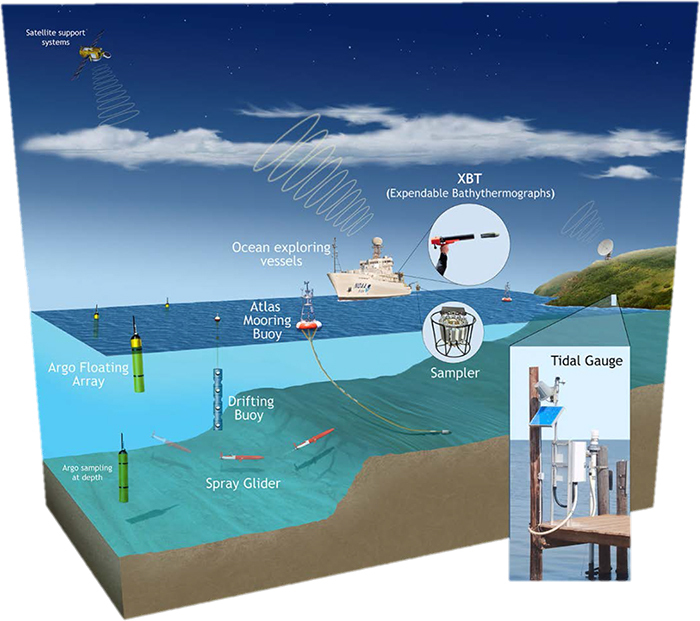 The Climate Monitoring (CM) program supports research to develop and improve climate-related data sets, including the transformation of relevant observations into informative products, and the interpretation of such products to better detect, measure, and understand the current and changing state of the ocean, atmosphere, and Arctic at regional and global scales. Developing and testing of indicators that provide a clear and concise way of communicating to the public and decisionmakers the status and trends of impactful physical changes of the atmosphere, ocean, and Arctic as part of a national Indicators system. Through these awards, NOAA’s Climate Program Office will produce several new data products describing the changing environmental conditions that impact the US. Some of these products are aimed at advancing understanding, NOAA’s prediction enterprise, and knowledge of our changing climate. Other products are aimed to inform the public and others making decisions that may consider changes in our climate. “20th Century Atlantic surface wind indices” — Mark A. Bourassa and Shawn Smith, The Florida State University.